Byron’s only indoor climbing wall is well suited to climbers of all levels. The wall is 7 meters high with 20 climbs of varying difficulty and includes a crack climb and conditioning ladder for more advanced climbers. Enjoy solo climbing using our auto belays or partner up and use the traditional 2 person manual belay system. 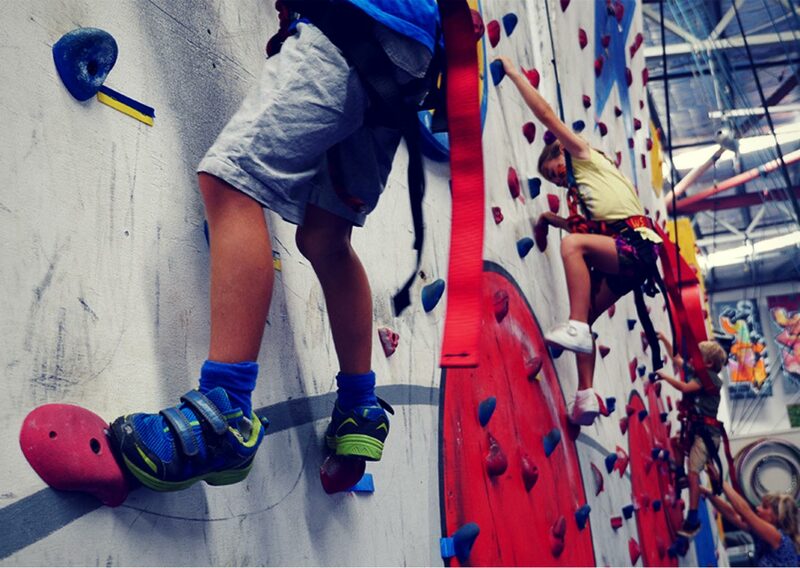 Our climbing wall is suitable for ages 4 and over. There’s a variety of easy and more difficult climbs on both auto belays and manual belay systems. $15 per person for auto belay and additional $5 per person safety briefing fee for traditional manual belay. We use the TRUBLUE Auto Belay, which is considered to be the most trusted & most widely used auto belay in the world due to its high quality design, patented magnetic technology, and reliable performance. It is easy to use and it provides a smooth descent as it accommodates a wide range of climber weights: The TRUBLUE allows for a weight range of 10 to 150 kg. Drop-ins are welcome, but we recommend to book in advance to secure a spot, particularly for large groups. Please call our reception on 02 6685 6566 to book a session.